U.S. Sen. Bernie Sanders (I-Vt.) will host a national town hall on Monday, Dec. 3, aimed at addressing the global threat of climate change and exploring solutions that can protect the planet from devastation and create tens of millions of good-paying jobs. 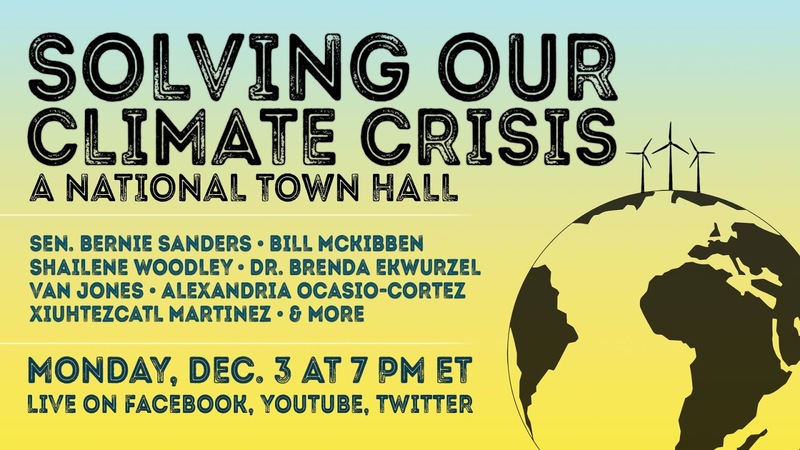 Sanders will be joined by 350.org founder and author Bill McKibben; actress, activist and Our Revolution board member Shailene Woodley; CNN host and author Van Jones; Congresswoman-Elect Alexandria Ocasio-Cortez (D-NY); Earth Guardians Youth Director Xiuhtezcatl Martinez; Union of Concerned Scientists Director of Climate Science Dr. Brenda Ekwurzel; Dale Ross, mayor of Georgetown, Texas; and Dr. Camilla Bausch, President of Ecologic Institute. This event is being presented in partnership with NowThis, ATTN:, The Young Turks, The Years Project, The Intercept, The Nation, The Guardian and Act.tv. 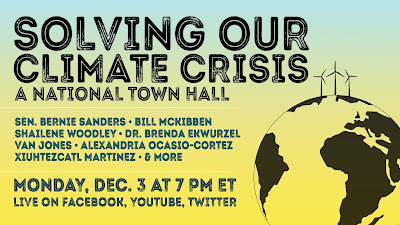 TO WATCH ONLINE: Go to www.facebook.com/senatorsanders at 7 PM ET on December 3rd.